At BVK–I Independence Day was celebrated with zest and excitement. 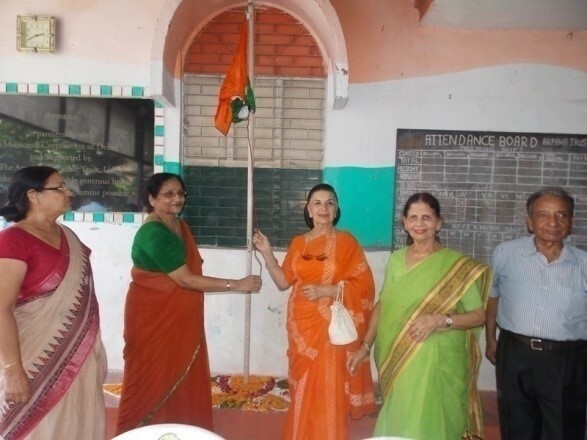 In the morning Mrs. Krishna Shroff and Mrs. Prem Sarin hoisted the national flag and in the afternoon the tricolor was hoisted by Mrs. Sushma Seth. Students of the centre presented a speech and a Patriotic song. This was followed by a special play on the inspirational life of the first Indian women astronaut Kalpana Chawla written and directed under the expert guidance of Mrs. Sushma Seth. The students of our centre were happy to see their friends on stage performing with so much confidence and acting so well. A 15 day theatre workshop was organized by Mrs. Sushma Seth, honorary cultural director of Arpana Trust, and Ms. Sharda Kumari, in collaboration with Mr. Hafeez Khan and Mr. Kailash Chauhan of the National School of Drama. On 30th June the plays were performed at Arpana Trust, morning and afternoon. The program was a huge success as students and parents alike thoroughly enjoyed the plays. On 10th November 2015, Diwali was celebrated at Arpana Trust with each child participating and decorating their respective classes with colourful papers, beads and lamps (diyas). Students made beautiful ‘Rangolis’ and had set up ‘Puja Sthans’. Mrs. Agarwal, Mrs. Krishna Shroff and Mrs. Sarin visited each class and conveyed their heartiest greeting on this occasion. The students arranged refreshments and enjoyed the day with their friends and teachers. 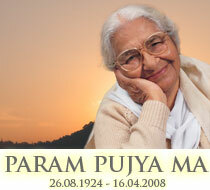 The centre was echoing with music and laughter.